A non-dilute mare (solid or non-solid) that produces a STUDBOOK registrable dilute foal (solid or non-solid) is eligible for foundation mare registration. In the case of unregistered mares who have produced a dilute foal to a registered stallion, this will give her foal the required 2 registered parents for studbook registration. 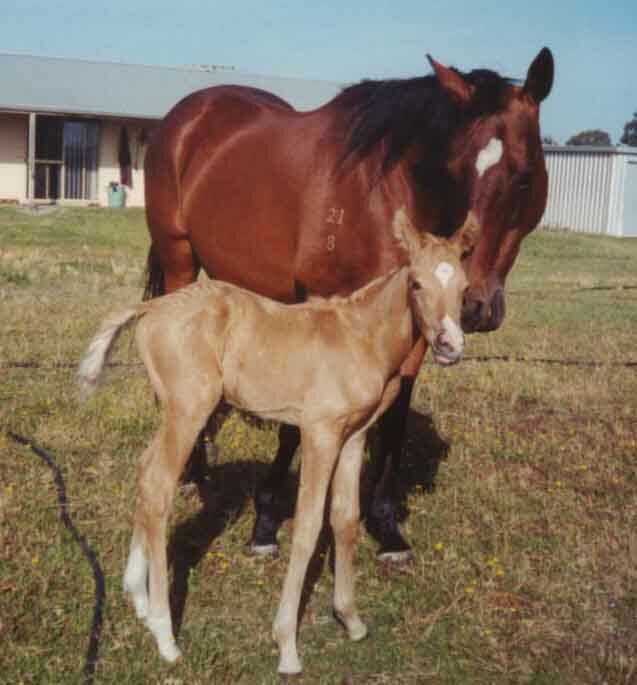 Non-dilute mares (solid or non-solid) registered with another breed society ie ASB, ASHS, AHSA, AAA, PHAA etc who have produced a dilute foal (solid or non-solid) to a registered stallion may also be Foundation Mare registered but this is not a requirement for the studbook registration of her dilute foal. Must be a solid coloured mare ie bay, brown, black, chestnut, grey etc. Mares carrying a dilution modifier will be dilute registered under that dilution. Be permitted white markings on the face and legs only, the legs not to be white above the knees or hocks save for a continuous diminishing spear or stripe running above the knee or hock. NO foundation mare may have ANY white markings (ie belly splashes) other than those permitted under the Regulations of the Company. Notwithstanding this, an owner may apply to have a horse or pony accepted for registration under the company's hardship clause which allows for small amounts of underbelly white. Registered foundation mares who are the non-dilute daughters of DA studbook registered palominos and who were registered prior to 1996 are now considered non-dilute Ancillary mares and have the showing rights associated with the Non-dilute Ancillary register.